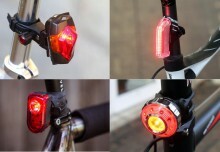 With September in full swing, it’s definitely the time of year to be riding with bike lights. There is a lot of choice available, which can only be a good thing, provided you know what to look for. For information about the law, please see our earlier article. Depending upon the terrain you ride, and the speed at which you cover ground, your needs will vary. Front lights are split into two distinct categories – be seen lights, and seeing lights – their category is determined by the amount of light they omit. The brightness is measured in ‘lumens’ by most manufacturers. ‘Lumens’ measures light given without taking into account environmental conditions or effects, but it is the industry standard measurement, and though it isn’t perfect, the measurement is more than adequate for helping you compare brightness. Lights for being seen can be used in street lit areas where your way is guided, the light being there so that drivers can see you. 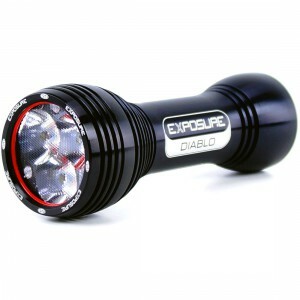 Be seen lights can be anything from 20 lumens to 700 lumens – more lumens means more visibility. On the higher end of the scale you’ll be able to see some of the path ahead illuminated, too – but I wouldn’t recommend these for zooming down potholed roads in the dark. The lower end the scale, less than 200 lumens, is usually a place for ‘back-up’ lights, which you carry as a security net should your main light fail – though some people do use these as primary lights, they aren’t very bright. More expensive versions will probably be USB rechargeable, which is convenient, and a newly charged light will be brighter. You’ll also get added features such as side-visibility – meaning the beam spreads out, as opposed to being omitted in one straight line in front and behind – this cuts down the chances of your not being see from the side. On the other end of the scale, 700+ lumens will get you into seeing territory. If you aim to be travelling fairly slowly on unlit roads, you should be ok with 700-900 lumens, but if you want to travel quite fast, you’ll need to see further ahead of you. 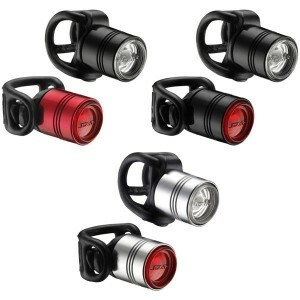 A 900+ lumen light will effectively show you the road just as a car headlight will – this allows you to ride on or off road just as you might in the day time. Seeing lights let you utilize the quiet hours of dawn and dusk when traffic is lesser and the world is beautifully still. These lights really can really offer a huge amount of liberation – if you can deal with the cold and the rain, they allow you to ride just as much as you could in summer. You can find seeing lights on eBay from brands such as ‘Cree’, but that’s actually just the name of the company that makes the LEDs and the unbranded units themselves are usually assembled in China. Last autumn Urban Limits put these cheap, powerful lights on test and found the claims about brightness and battery life to be wanting, although they are very cheap. 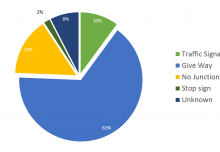 Most well-know UK retailers will stick with trusted big brands such as – Exposure, Lezyne, and CatEye. I ride with an Exposure Diablo, which is reliable, bright, and I know that should anything go wrong the warranty team would fix it for me. Rear lighting is really just about being seen, and all you need is a reliable beam that you trust, with enough battery to keep it going until you arrive home. Many people tend to opt for two lights – one flashing, and one on steady – alerting drivers early of their presence, and providing a safety net should one fail on the journey. My personal favourite is the Exposure Flare. 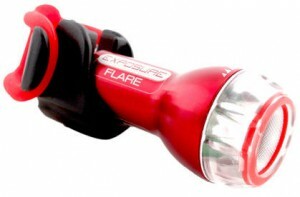 This promises 75 lumens, which is actually very bright on the rear. There are some common and avoidable errors, and knowing what they are can help you steer clear. 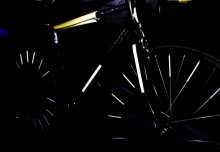 Here are some of the most oft repeated bike lighting errors..
Of course – you do need lights in the dark. However, there are other conditions which drastically reduce visibility – such as fog and rain, and even very bright sunlight. Always have lights with you, in case conditions change. Having them on when they aren’t needed does no damage; not having them when needed is much more dangerous. If you’re leaving in the light, but expect darkness to fall as you ride, or dusk to set in, turn your lights on before you leave so they’ll be there and ready when the time comes. 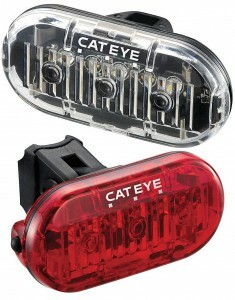 Front lights are hard to forget since they are in your view, but rear lights can be overlooked. A lot of lights these days are USB rechargeable, and if you pay a little more most will have an indicator to tell you when you’re getting low. 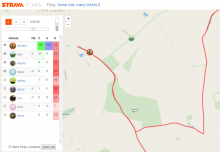 Make sure you know the run time, and what the indicators mean – for example, ‘red’ might mean 20 minutes, ‘orange’ 40 and ‘green’ 60. Battery life will also be determined by mode – a flashing light that lasts 3 hours could last 1 hour on full beam – so you the appropriate setting – full on unlit roads, flashing on lit roads. Many seeing lights can be mounted onto a helmet, this is very useful if you want to look left or right and cast the beam in that direction. However, if you use a helmet mount, make sure you have a ‘be seen’ light on the bike – otherwise when you turn your head sideways, you may be completely missed, and drivers can be confused about what sort of vehicle or otherwise is approaching – you could even look like a runner – who they will of course anticipate to be moving much more slowly. No one wants their lights to fail on a journey, but it’s much worse if the situation arises and you’ve got no alternative. Make sure you have a pair of back-up lights with you – you can pick up some small, simple lights for £20 – these won’t be that bright, but will get you home if need be. The Lezyne Femto Drive set is one example of a back up pair of lights. Very bright ‘seeing’ lights are much like car headlights. Drivers generally don’t (or shouldn’t) approach another road user with full beams on, and neither should you. The highest setting on a 900+ lumen light should be used only on unlit roads, and should be either pointed towards the ground if a car or other road user approaches, or turned down a notch. You really can dazzle people and this is dangerous for everyone involved. It isn’t uncommon to see a rider kit up with all the right lights, and then hop on a bike wearing a long coat that covers the beam. It’s an easy mistake to make, and an easy one to avoid. Shorter days don’t need to mean fewer hours on the bike – the right lights can have you out in the saddle whenever you please – just remember to be safe, not sorry.